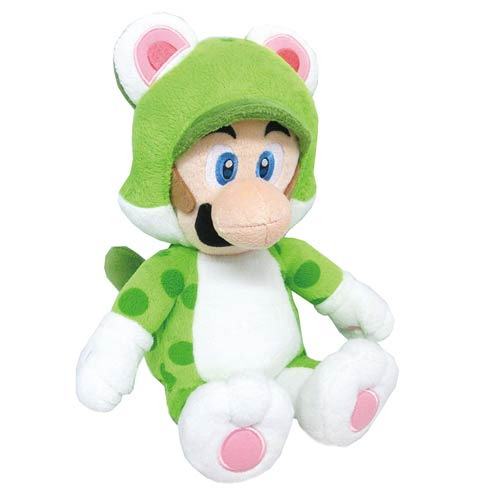 From Super Mario 3D World comes this Cat Luigi 14-inch tall plush. It's not a flying cat, it's just Luigi! This Cat Luigi has him in his green cat suit. This Cat Luigi Plush makes a great gift for any Super Mario Bros. fan! Ages 7 and up.